For more information about the A Good Call program, please see the questions below. If the answer to your question isn't here, check the Frequently Asked Questions (FAQ) or SMART Programs Training Requirements pages. If you need more help, please contact us. 1. What is A Good Call Bingo Staff Training? A Good Call is a social responsibility training program designed to educate bingo Facility Licensees and their staff on how to recognize the differences between responsible and problem gambling behaviour and appropriately respond to someone who may have a problem with their gambling. A Good Call does not replace the on-the-job training, knowledge or experience provided by or required by a worker's employer, nor does it include information on all AGLC laws and policies. 3. How will the A Good Call program help me where I work? A Good Call helps to educate and inform registered gaming workers about responsible and problem gambling so that they are well-prepared to do their jobs in a socially responsible way. Workers who are well-trained and supported by their managers and supervisors make a difference. Responsible gambling programs like A Good Call help to provide balance in the industry. It's the right thing to do and it's good business. 4. Who has to be A Good Call-certified? Persons requiring A Good Call certification must be certified within 30 days of their employment start date or before the expiration date on their certificate. More information about A Good Call policies can be found in Section 1.4 of the Commercial Bingo Handbook. Gaming legislation and policies are online at aglc.ca. 6. Who does not need A Good Call certification? A Good Call certification is mandatory for all full-time and part-time Registered Gaming Workers employed in a Class A or Class B Licensed Facility. Failure to present proof of certification may result in disciplinary action. 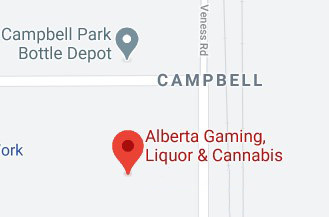 Liquor and gaming policies are online at aglc.ca. This program is intended to provide social responsibility training in regard to responsible gambling. It does not take the place of the training required of industry workers by their employer(s). Policy and program content may change after workers are certified. Industry workers are responsible for reviewing the program content and AGLC policies periodically to keep their knowledge current. 9. I have questions about my A Good Call certification. Where can I go to find more information?